In this high, barren plateau, survival depends on livestock. 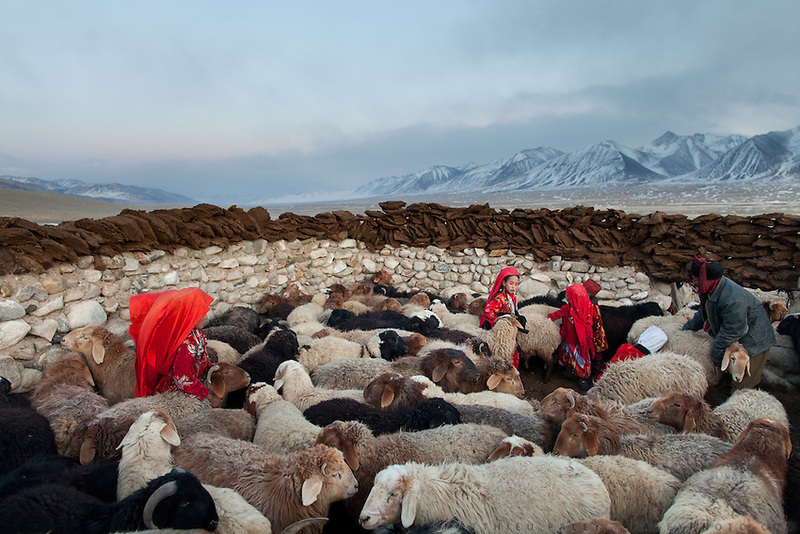 Red-robed Kyrgyz girls corral sheep for milking, while dung dries atop the walls for use as fuel. The sheep, along with goats, yak and camels provide milk, meat and wool. At the Andemin camp...Trekking through the high altitude plateau of the Little Pamir mountains, where the Afghan Kyrgyz community live all year, on the borders of China, Tajikistan and Pakistan.